A previously unseen look into the world of Scientology, Lafayette Ron Hubbard and the basic control of humans that goes to the root of the organisation and exposes them for what they really are. The first act includes interviews with former members of the ‘church’ detailing their introduction and subsequent involvement in the world of Scientology. Watching this exposé it seems unlikely this film could be skewed towards falsehoods and agenda ridden investigating. There is so much evidence presented here by former members it seems like the lid has been truly blown off any secrecy the ‘religion’ has tried to keep under wraps. This documentary has caused a lot of problems already within the organisation; members leaving, reports of abuse, bad press etc etc. 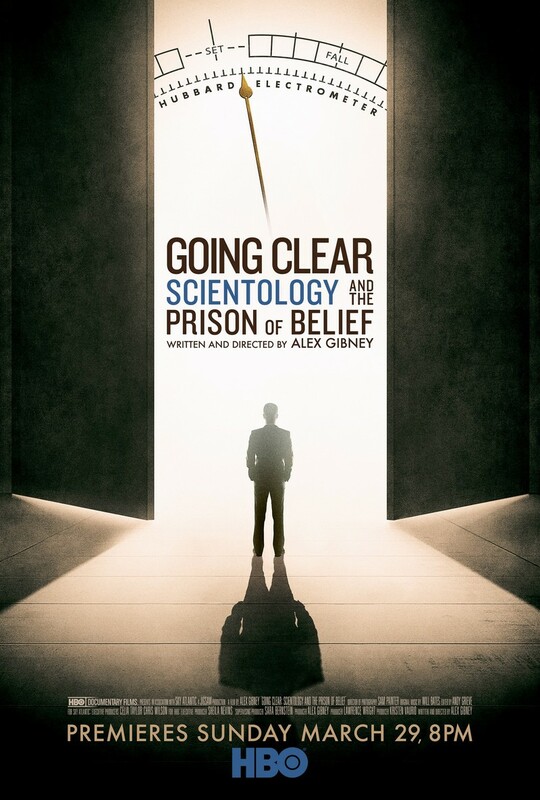 The amount of counter-tactics the ‘church’ of Scientology have employed to discredit this film, based on the book by Lawrence Wright, are similar to the methods used by criminals; strong-arming, bullying and intimidation at every step of the way. If none of the claims that the book or documentary make are true, by all means refute these claims, but at what cost and why behave like street thugs? If you are secure and confident in your way of life and your ‘religion’ is really genuine then it will survive and flourish. Bullying tactics will be unnecessary. Scientology have been ruthless in trying to silence any and all critics of them; Hubbard claimed that the church’s critics were criminals who needed to be exposed. What are you people worried about? If you’re spending all this time and money to shame your nay-sayers, what good are you really doing? Where is the ‘Love They Neighbour’ part of your ‘religion’. Almost all of the religions in the world have this as a deep tenet of their teachings, not so the Scientologists. The second act of this documentary tells of the founder of Scientology, L(afayette) Ron Hubbard, who was a pulp fiction writer for hire in the late 1940’s after the second world war, writing science fiction and fantasy. He developed a set of ideas and practices he called Dianetics and released the book (the Scientology ‘Bible’) in 1950 which contained many of the themes in his previous works and this, along with the religion founded in 1952, would go on to make him a lot of money and allow him to feel (Russian accent) * ‘like a big man’. Hubbard clearly had charisma and the gift of the gab and this allowed him to dupe members into behaving how ‘he’ wants them to. Members use ‘auditing’; in each auditing session a series of questions are asked by the dianetic auditor to help the member to locate and overcome painful experiences of the past. These sessions are recorded and the sessions transcribed allegedly to be used by the people in control for control at a later date. The auditing sessions are not cheap and members are urged to attend more and more to attain the status of ‘clear’. Hubbard died in 1986 and so we move onto the third act showing Lafayette’s replacement as the head of the church, David Miscavige, a strange man indeed, from what we are led to believe here he is another one with a complex of sorts, clearly insecure and an incredible bully with intimidation tactics. This act shows Miscavige and the allegations of abuse, unlawful imprisonment and the exploitation of members directed at him. The big contention was the attempt to make Scientology a religion in order to receive the many tax breaks this gives. Their dirty tricks campaign in order to achieve this status wouldn’t be out of place in the world of politricks. A religion is meant to be a non-profit organisation in order to be registered as a religion and this is clearly not what Scientology does. Massive donations (now tax-free of course) enabled the organization to become very rich indeed paying the lower members of the church a measly wage that would be, relatively speaking, in line with the sweat-shop wages around the world. Pure exploitation. This film doesn’t shy away from the involvement of the celebrity set, which is what makes the whole thing fascinating and the reason it gets put under the spotlight; both Travolta and Cruise have the microscope aimed at them, and uncovers a lot about possible blackmail of sorts that keeps its members towing the party line. If you are curious about this phenomenon or indeed at all interested in a very powerful presence all over the world then this is a documentary worth seeking out. Skilfully directed by Alex Gibney who previously released ‘We Steal Secrets: The Story of Wikileaks’, here he exposes the church for what it is and does it very concisely. HBO does it again.